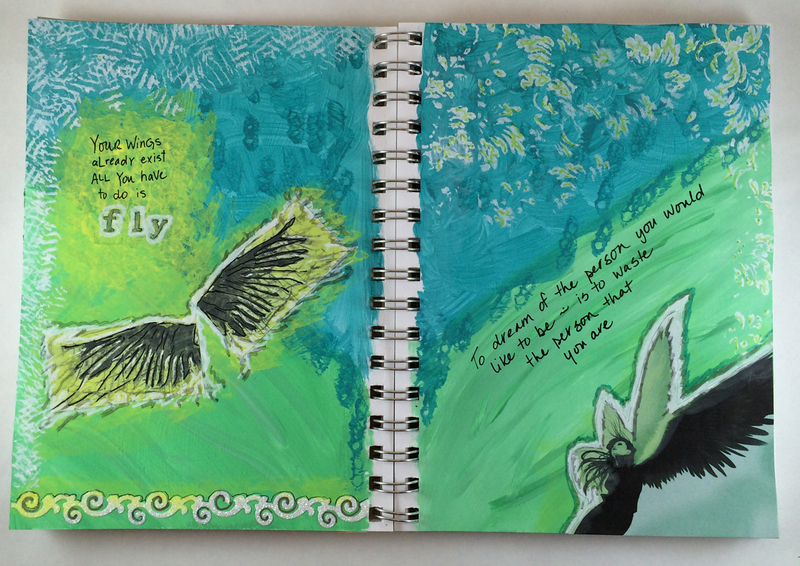 I came across this art journal project, which I have interpreted in 2 ways. Once as an art journal spread and also as a recycled playing card project. I love how they both turned out and am curious to see which direction I am going to take it next. At some point, I will have completed the most amazing deck of cards. 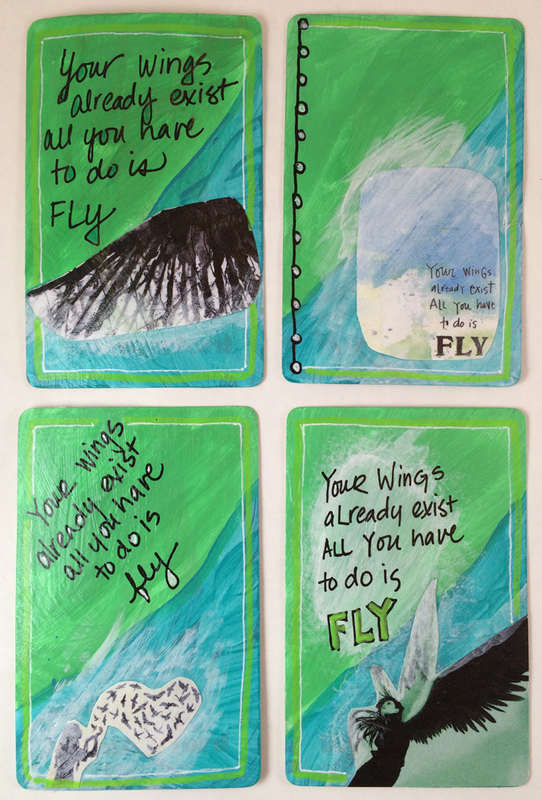 It is the ultimate in a marked deck, these 4 wing cards are aces. Not sure if anyone will play with me, but I’ll love them just the same. ← What was Mother thinking? Thanks so much for including my link! I’m happy to have inspired you on part of your journey! Consie – your projects are inspirational!